Trevor Mann has been serving in ministry for seventeen years. He began serving as a Youth Pastor. Over time, he also became the Worship Pastor. He then added the role of Assistant Pastor. 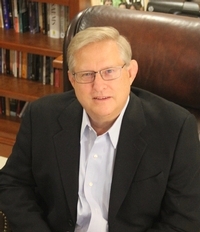 He now serves as Senior Pastor. Pastor Trevor began attending ICC and ICS at the age of two. He graduated from ICS in 1993 and subsequently pursued an Associates in Arts from Miami Dade College. He later earned a degree in biblical studies from Liberty University Online. He is honored and humbled by the opportunity to serve in the church in which he was raised. Being a fifth-generation conch, he has a real heart for the Florida Keys and the community. His main focuses are to cultivate community between believers and to produce more Christ followers. Trevor married his lovely wife, Nicki Mann, in 1996. The couple shares two daughters, Lacie and Isla. Lacie is currently enrolled in Palm Beach Atlantic University. Isla is gracefully and playfully navigating her way through preschool. Trevor prides himself in being the only man in a household of girls (two female pets included). Trevor, an avid coffee drinker, enjoys coffee talks and spending time with others. To contact Pastor Trevor, email him at tmann@islandchristian.org. Ethan has been serving in ministry for 14 years and has been a pastor for over 5 years. He has been on staff at ICC since November 2018. He is married to Amanda, and they have four children, Simon, Eva, Eleanor, and Audrey. Ethan holds a B.A. in Biblical Studies & Pastoral Ministry and an M.A. in Theology. Ethan enjoys teaching and preaching God’s Word. He is also an avid hunter and fisherman. Ethan grew up in South Bend Indiana where he recently graduated with a degree in Biblical Studies from Bethel College. He was involved in several youth ministries throughout his time in College and is following his passion for youth at Island Community Church. Along with his heart for youth ministry, Ethan loves music. He has been playing the piano and drums from a young age, and enjoys leading worship in the church. 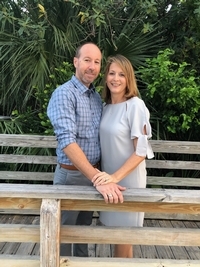 He is happily engaged to his wonderful fiancé, Joy, and excited to partake in an adventurous journey with her in ministry and life in the Florida Keys. Ethan loves sports, traveling, and anything associated with coffee.